Cro Cro Land is the brand new one-day South London indie music festival that arrives in town on 6 April 2019. The festival mission is to bring guitar music back to the birthplace of punk, Croydon. Cro Cro Land presents a gender balanced bill of the UK’s most exciting bands including Blood Red Shoes, The Lovely Eggs, Nova Twins and Bang Bang Romeo. 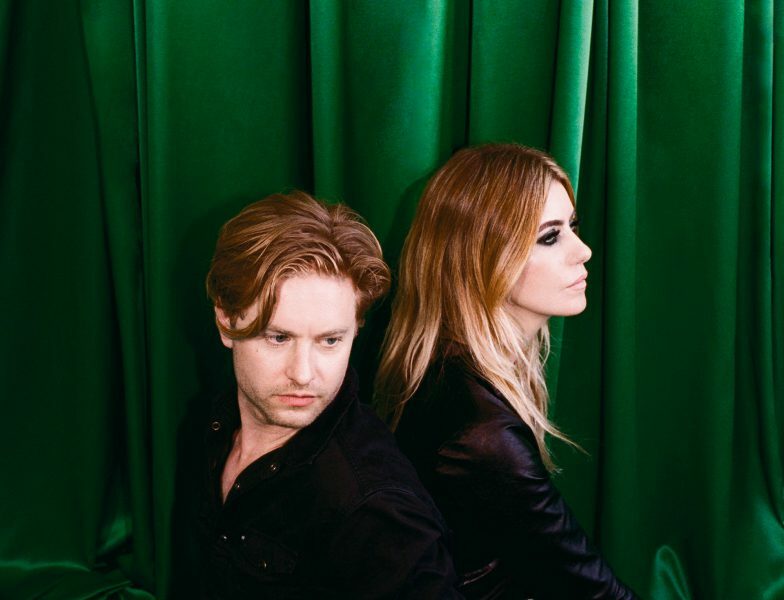 We talk to one half of alternative rock duo Blood Red Shoes, Laura-Mary Carter to find out about festival life, touring and more! You’re headlining this year’s Cro Cro Land festival, but how does playing festivals compare to individual gigs? Playing your own shows and festivals are really different because at your own show the majority of people there know your music well and are there as fans where as festivals it’s a great way of getting out to a bigger audience to try and win people over who may have never come across you otherwise. I like them both for different reasons but i do like getting to see new music and catching up with friends in bands that happen in the festival season. Do you have any stand-out memories from previous tours? I have so many! but a few things that stand out would be when we headlined the Paradiso and sold it out in Amsterdam because I grew up watching Nirvana live videos where they played there. When The Breeders invited us to play ATP festival and even just the tour we did, we intentionally did smaller shows and the vibe and excitement was immense, this month has been an important and life changing moment for us. What’s your must-have item to surviving any tour? A blanket for all the hours I spend in a van where I need to get some sleep, it’s nice to feel cosy especially sometimes when we have to drive a few hours after a show and it’s cold. Also Berocca is a must have. Who are currently listening to right now? I love Anna Calvi’s new record, a band called Big thief, and Broncho’s new record. What’s your all-time favourite song to perform live? At the moment it’s the last track off our new album ‘Get Tragic’ called ‘Elijah’, the riff is so much fun! Is there any song from your back-catalogue which is the most special to you? If so, how come? Every song is special in some way or another to me. I guess if I have to choose it would be ‘The Silence and The Drones’ from our third album because it was this intense moment in time where all the lyrics and music just came to me in one hour and it was just so fluid and special like it came from nowhere and all of a sudden it was this song.